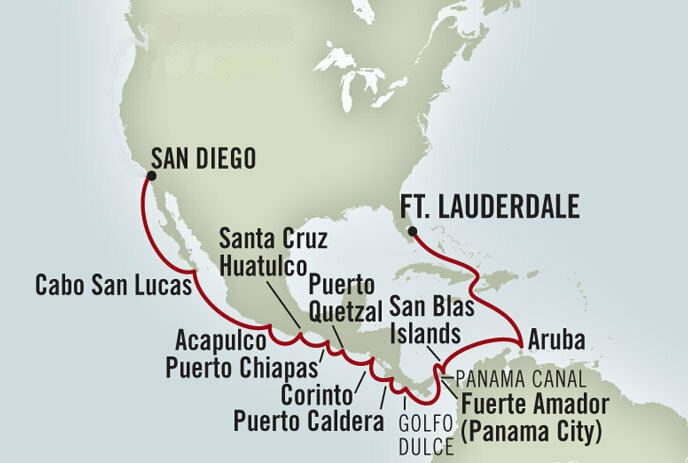 This eighteen day voyage offers an extraordinary Panama Canal experience that encompasses much of the surrounding regions. Explore the eco-diversity and natural beauty of Costa Rica, and savor the warm-water pleasures of the Mexican Riviera from Acapulco to Cabo San Lucas. On board, enjoy special presentations and an array of exciting activities, elegant amenities, excellent dining options and impeccable service. Add a 3rd or 4th guest to your stateroom from $599*. CALL NOW! Book by January 31, 2010! Take advantage of special fares not available to the general public. Includes six discussions on the sea days about Book of Mormon history and geography. The text for the course is Exploring the Lands of the Book of Mormon by authors Joseph and Blake Allen. You will receive one FREE copy per stateroom of Exploring the Lands of the Book of Mormon once you book your space. Each side excursion is $99 per person. If you purchase all four side excursions, the discount price is $359. Side excursions for other ports of call are available aboard ship. See day 15 below in full itinerary. See day 14 below in full itinerary. Puerto Chiapas, Mexico. 8:00 AM to 5:00 PM. Today's side excursion is under the direction of Book of Mormon Tours and is part of the Book of Mormon Seminar at Sea program. After breakfast, we will disembark from the ship and board our air conditioned bus for a thirty minute ride to the archaeological ruins of Izapa. We will visit both the north and south side of the Izapa archaeological zone. You will have the opportunity to see the Stela 5, Tree of Life Stone which dates to the King Mosiah time period. You are encouraged to read chapter 15 of the second edition of Exploring the Lands of the Book of Mormon prior to your visit to Izapa. Following our visit Izapa, we will transfer to the nearby city of Tapachula where we will visit the Regional Archaeological Museum. Following lunch, we will return to the ship with time to bask on the Pacific beach of Chiapas, the area proposed as the landing site of Lehi and his people shortly after 600 BC. Puerto Quetzal, Guatemala. 6:00 AM to 4:00 PM. Today's side excursion is also under the direction of Book of Mormon Tours and is part of the Book of Mormon Seminar at Sea program. An early disembarkation will allow us to board our first class bus for a two hour ride to Guatemala City where we will visit the National Archaeological Museum, the LDS Temple and the archaeological zone of Kaminaljuyu. This site is the leading candidate for the ancient city of Nephi where Nephi, the son Lehi, built a temple and was anointed king. A monument dating to 147 BC may illustrate the transfer of kingship from Noah to Limhi. Following a delicious steak dinner, we will return to Puerto Quetzal where we will board ship. The Panama Canal is man-made and connects the Pacific and the Atlantic Oceans. One of the largest and most difficult of any engerneering projects ever undertaken, it had an enormous impact on shipping between the two oceans, replacing the long and treacherous route via the Drake Passage and Cape Horn at the southern tip of South America. Today, you will enjoy passing through the canal as we pass through the locks to the Pacific side.. If you want transfers to and from the ship, or if you want pre or post cruise hotel accommodations, call 1-801-226-5200. AIRFARE: TBA (from your city to Fort Laurderdale and from San Diego to your city) Call 1-801-226-5200 if you want assistance in booking your airflights. *Note that these dates and the dates and number of days in the itinerary differ from the cruise line information due to the flights that may be necessary the day before the ship sails. If you are looking for the most comprehensive Book of Mormon Premium Cruise available, this trip is for you. Experience the power of history as you travel to the Book of Mormon lands with Book of Mormon Tours, the definitive experts in travel to the lands of the Book of Mormon. Your cruise becomes a floating symposium as Dr. Joseph L. Allen and Blake Joseph Allen explore such topics as: “Quetzalcoatl and the Land Bountiful”, “Geography and the Plan of Salvation” and others. Your cruise includes beautiful ports of call wherein you will visit such proposed sites as Izapa – the Tree of Life Stone and Kaminaljuyu (the city of Nephi) in Guatemala City, the City of Eternal Spring, fully escorted by the Allens. The ms Statendam is the fifth ship to bear the name in Holland America Line's more than 130-year history. At 720-feet, she is designed to carry fewer guests while providing more space for maximum comfort. Many staterooms feature commanding ocean views and have a private verandah. The ms Statendam features a theme of Dutch life and exploration, with more than $2 million worth of art and artifacts beautifully displayed throughout the ship. The Van Gogh Theater is a work of art in itself, commemorating Dutch artist Vincent Van Gogh's paintings "The Starry Night" and "Irises". In the center of the ship, a three-story atrium showcases an elaborate 26-foot-high "Fountain of the Siren" sculpture. Traveling aboard the ms Statendam is world-class cruising at its finest. Inasmuch as the cruise departs from Ft. Lauderdale on Sunday, April 25, it is sometimes difficult to get flights from the western part of the United States in order to arrive at the port on time on the day of departure. There are two options. First, you may choose to take an evening departure today and fly through the night to arrive in Ft. Lauderdale on Sunday morning. You can then transfer to the ship. The second option is to take an earlier flight today and overnight at a hotel in Ft. Lauderdale before boarding the cruise on Sunday. Please let us know which you would prefer. Day 2, Sunday, April 25: Depart from Ft. Lauderdale, FL (5:00pm) Once you have arrived in Ft. Lauderdale you have several options. There is an abundance of things to see and do in the Ft. Lauderdale area: visit the newly redesigned Ft. Lauderdale Beach and cafes, stroll the historic Riverwalk, shop the luxurious stores on Las Olas Boulevard or venture to the Everglades for an intriguing air boat excursion. Transfer to the ship must be no later than 3:00pm. Everyone is required to be onboard by 4:00pm and the ship sails at 5:00pm. If you fly directly to Ft. Lauderdale today, make sure you leave enough time after your arrival to meet these times. Enjoy a relaxing day at sea as you begin your journey on the Premium Panama Canal Cruise and Book of Mormon symposium. Aside from the many activities offered on board the ship, we will begin our “symposium at sea” at 10:00am where you will be enlightened on Mayan Culture and Glyphs. The afternoon and evening are yours to enjoy the activities on board. We will have another relaxing day at sea as we discuss more on the culture of Mesoamerica, the writings and interpretations, and other insights to the Mesoamerica land. You will have the rest of the day to enjoy activities of your choice provided on the ship. Colorful floating markets, wondrous coral reefs and landscapes dotted with curiously bent divi-divi trees await on this, the "A" of the Netherlands Antilles' famous ABC islands. (Bonaire and Curacao round out the trio.) Sample shore excursions include: Natural Wonders of Aruba; Spanish Lagoon Kayak Adventure' Jolly Pirates Sail, Snorkel, Swim & Swing. Be back onboard by 4:00pm. We continue out “Symposium at Sea” as we sail from Aruba towards the Panama Canal. Following our meeting time together you will again have the afternoon and evening to enjoy the shipboard activities. The Panama Canal is a man-made canal which joins the Pacific and Atlantic oceans. One of the largest and most difficult engineering projects ever undertaken, it had an enormous impact on shipping between the two oceans, replacing the long and treacherous route via the Drake Passage and Cape Horn at the southernmost tip of South America. Today you will enjoy passing through the canal as we pass through the locks to the Pacific side. For some additional study, you may wish to buy and read the book entitled The Path Through the Seas by David McCullough for this day. Another day of fun and learning as we continue our symposium and the many things offered on the ship. It's wild, it's beautiful and Costa Rica's eco-factor is off the charts. Here find steaming volcanoes, lush rain forests and nearly half of all the animal species on earth. Plus a modern capital high in the mountains. Be back onboard by 4:00pm. We continue to explore the geography of the Book of Mormon in our symposium. Day 11, Tuesday, May 4: Corinto, Nicaragua (8:00am – 5:00pm) Puerto Corinto is a quaint coastal village in an area rich with pristine beaches, lush mangrove forests and magnificent volcanoes. In Corinto, take a stroll along the Costa Azul for a view of the bay and its islands. In nearby Chinandega, discover Mayan artifacts at the archeological museum. Farther afield explore the ruins of León Viejo, excavated from centuries of volcanic debris. Sample shore excursions: The History and Art of León; San Antonio Rum Distillery. All aboard by 4:00pm. In the cultured little country of Guatemala modern Maya still weave their stories on backstrap looms, and the great stone temples of Tikal stand in silent testament to ancient Mayan ingenuity. We disembark to the City of Guatemala, otherwise referred to as the city of Eternal Spring. Through our excursion today, time permitting, we will visit the large relief map of Guatemala in order to orient ourselves with the geographical overview of the country in relation to the Book of Mormon. We will then visit the archaeological zone of Kaminaljuyu, a place considered by many to have been settled by Nephi in the 6th century BC (see 2 Nephi 5:5-10). This will be followed by a visit the National Museum of Archaeology of Guatemala where we will analyze Kaminaljuyu’s stela 10, an altar that dates to 147 BC and may suggest a transfer of kingship from King Noah to Limhi (see Mosiah 18 & 19). Gateway to the Mayan world in the Pacific, shrouded in mystery. Today we will disembark for a day of learning as we visit the archaeological site of Izapa. 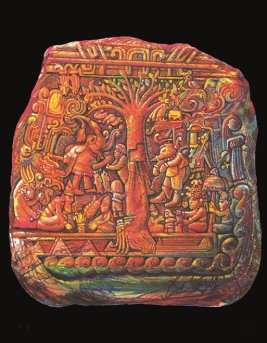 While visiting Izapa, we will see Stela 5, the “Tree of Life Stone”. This engraved stone dating back to 300 BC may depict Lehi’s dream as recorded in first Nephi. Snacks and water will be provided. After visiting Izapa the group will return to the dock where you will have time to shop or enjoy the amenities of the port. Try a fresh tamale, a delicious part of celebrations here, or shop for local handicrafts like tin toys, wood and stone carvings or colorful textiles. Or, simply wander the beaches and take in the untamed and exotic surroundings. Day 14, Friday, May 7: Huatulco, Mexico (8:00pm – 5:00pm) Huatulco is a beautiful seaside resort with warm sun, sandy beaches and nine beautiful bays rimmed in every shade of blue. Nearby: low-growth caducifolia jungles teeming with birdlife and the nesting grounds of endangered sea turtles. Today we will try and visit a newly restored archaeological site known as Punta Celeste. It is anticipated that it will now be open to the public. This may be the area where the Jaredites first land in the promised land prior to migrating north into Oaxaca and then on to the Gulf Coast region. Similar to the ruins at Tulum on Mexico’s Caribbean coast Punta Celeste overlooks the ocean. It consists of burial sites, ball courts, small pyramids, and a Cliffside sacrificial stone. The site dates to 500 B.C. and was developed by the Mixtec culture. Day 15, Saturday, May 8: Acapulco, Mexico (8:00am – 5:00pm) Today we will visit the site of Xochicalco, a UNESCO World Heritage site, which was founded circa AD 650 by the Olmeca-Xicallanca, a group of Mayan traders from Campeche, affording them an excellent position along some of the major trade routes. It was an important fortified commercial and religious center in the era following the decline of the great Mesoamerican states. At the ceremonial plaza where the Feathered Serpent Pyramid is located, archaeologists have found that this city was the crossroads for many different civilizations, including Aztec and Maya, for a long period of time. The observatory is an amazing place where the ancients could determine the beginning of the seasons and made remarkable observations of the moon. We will meet for church services in the morning and then continue with our symposium in the afternoon. We are at the tip of the Baja Peninsula, where the blue Pacific mingles with the Sea of Cortez in a whirl of watercolors. Even more spectacular: waters teeming with marlin, swordfish, sailfish, tuna and other fighting fish. Feast your eyes on exquisite black coral; take in the annual migration of the gray whale. Sample shore excursions: Deluxe Coastal Cruise & Whale Watch; Half-day Sportfishing Adventure; Sea Kayak & Snorkel Adventure; Beach Horseback Ride. Early return to the ship: be aboard by 2:00pm. Today brings us to our last relaxing day at sea as the “Symposium at Sea” comes to a conclusion. We will have a review of the proposed Lands of the Book of Mormon and the Mayan culture. You will have the afternoon and evening to enjoy activities of your choice provided on the ship. This morning we will arrive at the pier in San Diego where we will disembark and clear customs as we have come to the end of our Journey. **Airfare to and hotel (if needed) in Florida or California are not included; however they can be arranged through Book of Mormon Tours, if desired. All prices are per person and based on double occupancy. 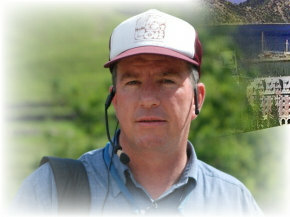 Additional fees include government fees, transfers, Book of Mormon seminars, educational material and land excursions. Prices are subject to change. See Terms and Conditions for complete information. Full payment is due upon registration. For more information please call us at 801.226.5200 or by email at [email protected].